Use software to teach students about the physical, cognitive, social and emotional development that occurs in the first year of life. Software set includes: Physical Development--Learn about an infant's nervous system, typical brain growth and innate reflexes. 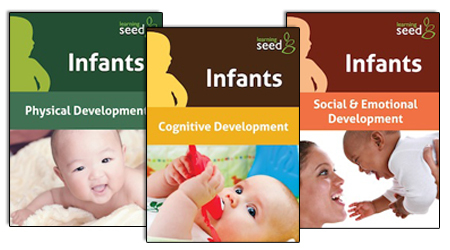 Cognitive Development--Study the different parts of the infant brain and the function of brain cells. Examine infant intelligence, memory, and the beginnings of communication. Social and Emotional Development--Users learn how infants form attachment relationships and how emotional growth can be affected by personality and temperament. Compatible with Windows/PC.